And with that, in glorious 4:3 aspect ratio, filmed on an antique television camera and beamed over to us via a defunct 1990s satellite feed, the Graham Arnold era began. The retro look to Fox Sports’ broadcast may have been unwelcome – and unanticipated, as the TV score graphic hung over the edge of the thick black bars sitting cheek by jowl either side of the vision – but the result certainly wasn’t. An emphatic 4-0 win, just the way to get a new regime up and purring. It’s hard to make any concrete predictions based on this, what with all the players out through injury, but a few tentative indicators might be gleaned. The most surprising aspect of the starting XI was the one, isolated area of experimentation: the striker’s spot. Apostolos Giannou, only a very occasional Socceroo, began up front, with Tom Juric on the bench. The rest of the starting XI was familiar. Mark Milligan was captain, and partnered Trent Sainsbury in defence, as he did in the World Cup. The full backs were as they were in Russia. Mass Luongo and Jackson Irvine were the midfield two – remembering, of course, Aaron Mooy’s unavailability. Robbie Kruse and Matt Leckie were on the wings, with Tom Rogic sitting as the No.10. So, nothing new there, very unlike the arrangement I had so desired in writing a week ago; none of the newly capped players were in the starting line-up, and no Mustafa Amini, no Daniel Arzani. What was most immediately striking about the system was how much positional freedom Kruse seemed to enjoy; he was flagged for offside early in the game out on the right flank, dancing past the defensive line altogether too hastily. He then forced the opening goal, an unfortunate headed own-goal, by curling in a cross from the left wing, where he had been nominally stationed from the start. His touch map is further evidence of this lateral roaming, and it seemed only to be Kruse who had license – or desire – to do so, as Leckie’s touch map was far more localised to the right flank. It became clear the wingers were designed to crisscross – in Kruse’s case, all the way to the other side of the pitch – to veer inwards, dragging defenders away from the flanks, and link up with teammates veering the opposite way. Of course, at Sydney, Arnold’s system involved playing wide attackers who weren’t wingers at all – Milos Ninkovic and Adrian Mierzejewski – designed specifically to come inside, letting the full backs provide width. While Leckie and Kruse don’t have the technical or play-making abilities of the two most recent winners of the Johnny Warren Medal, it seemed as though an ersatz version of the same system was in place here. Certainly, the very widest men, perched on the touchlines, were the full backs more often than not. The positions of the full backs also necessitated that the centre backs split, which in turn required a midfielder to drop into a centre back position when playing calmly out from the back. Luongo did this – the obvious choice out of the two midfielders – and did it well. He was, as a result, the game’s most active passer, attempting more (86) than anyone on the pitch, and at an excellent rate of accuracy – of the players to make 20 or more passes, only Trent Sainsbury was more accurate than Luongo’s 90.7 per cent, and even then only fractionally, with fewer passes made. As an unashamed Luongo fan, this pleased me greatly, and I was warmed by thoughts of the 26-year-old’s increased involvement under Arnold. The role of metronomic, deep-lying passer was filled by Mooy at the World Cup; Luongo showed here – against fairly meek opponents, admittedly – that he is perfectly able to do the same, perhaps even with more ease and style. Luongo is, of course, much more dangerous a dribbler than Mooy, and is a far more mobile defender. Australia hit a staggering number of crosses, but such were the demands of the situation – playing as they were against a team so willing to secede possession and so frequently guilty of clearing the ball without conviction. The other statistical contest from which they emerged overwhelming winners by the night’s end was the foul count; only one Roo was booked – Sainsbury, in the second half – but Australia committed 17 fouls to Kuwait’s three. A few were real stingers too, Leckie and Milligan both seen manhandling Kuwaitis with ill intent, splatting them to the turf having become painfully acquainted with the point of an Australian elbow. For a team that dominated the ball, who did relatively little defending, the fouls were unusually lopsided. Perhaps Arnold wanted to send a message to the world – albeit not from the most exposed platform – that Australia aren’t going to be soft touches in Asia under him. 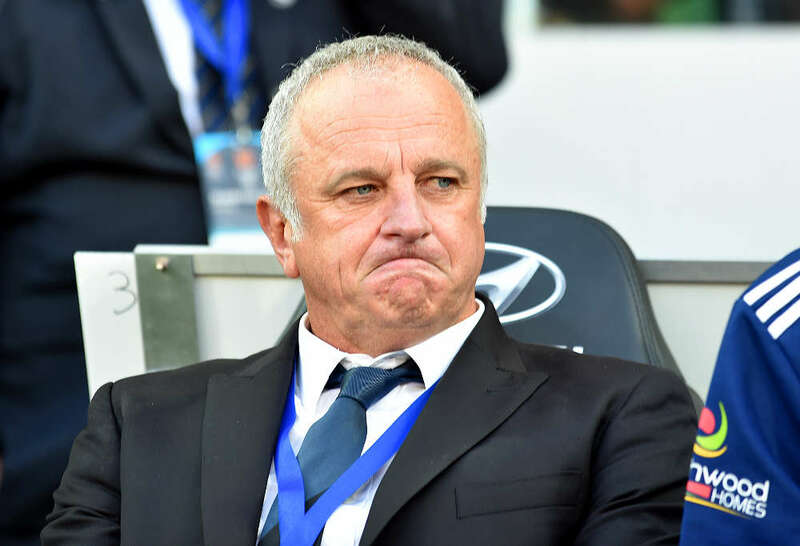 There is a gristle to Arnie, and to his teams; it’s not as though his Sydney weren’t at least a little reviled for an ability to play rough and go unpunished. After the match ticked past the hour mark, the substitutions began, and we were treated with seeing these new, young, likely lads. Kuwait had raised their game, now a muted heartbeat, and so – as if roused by a cheery cockerel’s call sparking through the morning’s hushed light – the game woke up. Arzani was the first to illuminate things, a darting run into the area and around the goalkeeper, but a little too wide. He then struck a shot that cannoned off his boot with a startling suddenness, but flew high. He really is a thrilling talent on the ball. Awer Mabil and Amini followed Arzani onto the pitch as substitutes, and then Thomas Deng a few minutes later. As an aside, how wonderful it is that the first generation of African-Australian Roos have matured and arrived, and how valuable their sporting contributions are sure to be, in all forms? Of course, out of all the codes, football has been by far the most representative of the rich multi-cultural tapestry that Australia is, so while the sight of Deng and Mabil celebrating the latter’s goal isn’t really worth gawking at like some novel oddity, it was still a lovely moment. 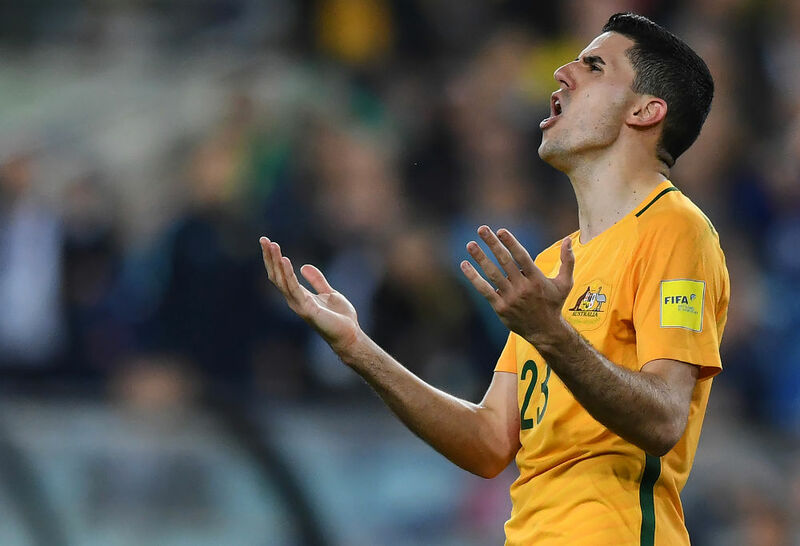 A pretty move that saw the ball fired at speed from Mabil, to Juric – also one – to Arzani, to Rogic, all the way across the pitch, was a joy to behold. Mabil scored a very tidy goal to finish the night, with the sort of on-the-run, outside-of-the-foot finish our wingers have more commonly scuffed wide over the last few years. It left a pleasant taste on the palate as the final whistle went. So, an evening of only small morsels, but tasty nonetheless. With future friendlies, we’ll have a more rounded view of how Arnold hopes to tackle the Asian Cup.